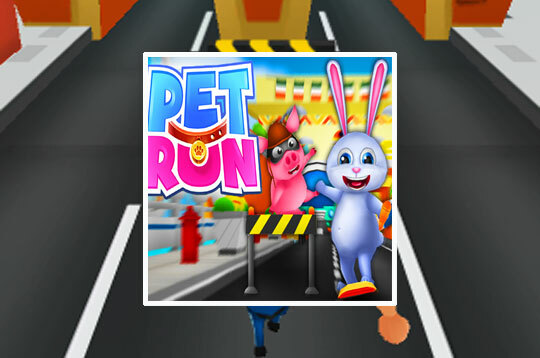 Pet Run is a super fun Subway Surfers style game! Help the rabbit to escape from the police by avoiding the trucks, buses, yards and collect all the coins to earn points! - Play Pet Run Free and Enjoy!